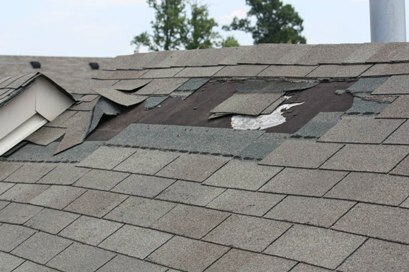 Annual roof inspections can save you money. No matter how old your roof is, it isn’t going to last forever. At some point, it will need repairing or replacing. The cost of replacing a roof can be quite high. So it’s understandable if you’re a little worried about calling out a roofing company to take a look at even just a small problem. However, by catching problems early you will end up paying a lot less. If you really want to minimize the risk of paying out for costly repairs, regular maintenance can help. Just like any other part of the home, your roof requires some level of maintenance to ensure it stays in good shape. Here you’ll discover what you can do to protect your roof and how often it should be maintained. The best way to maintain your roof is to contact one or more Nassau County roofers to have a professional assessment at least once a year. Ideally they should be done twice a year; one in the fall and one in the spring. However, once a year can still ensure any small problems are picked up early. So what does a professional assessment consist of? Basically a roofing contractor will take a thorough look at the roof to ensure it is in good condition. There are all kinds of things that can go wrong, especially in harsh weather conditions. High winds and storms can loosen tiles, or they could break off; leaving the home susceptible to leaks and issues with mold. As well as professional assessments, there are things you can do yourself. Removing any loose debris from the roof and guttering is a good start. You can also check in the attic to see if there are any signs of dampness. It is also important to remove any moss or mold. These are simple maintenance tasks you can carry out by yourself. However, it is no substitution for a professional assessment. Without them, you could end up spending thousands of dollars on repair costs. Small repair jobs that are spotted early cost a lot less than you might think. So why not book a residential roofing assessment today and start protecting your home and your wallet. What Do You Think? We'd love your feedback! Real Estate Buzz – Today's Most Interesting and Useful Real Estate News Copyright © 2019. All Rights Reserved.